Bloggers Who Budget is back! This month, we are sharing maxi dresses for $100 or less. Maxi dresses are what I am mostly wearing on my down time these days, easy to throw on & no one knows that I haven't shaved my legs in a while. I will definitely be channeling these other lovely ladies' looks soon! 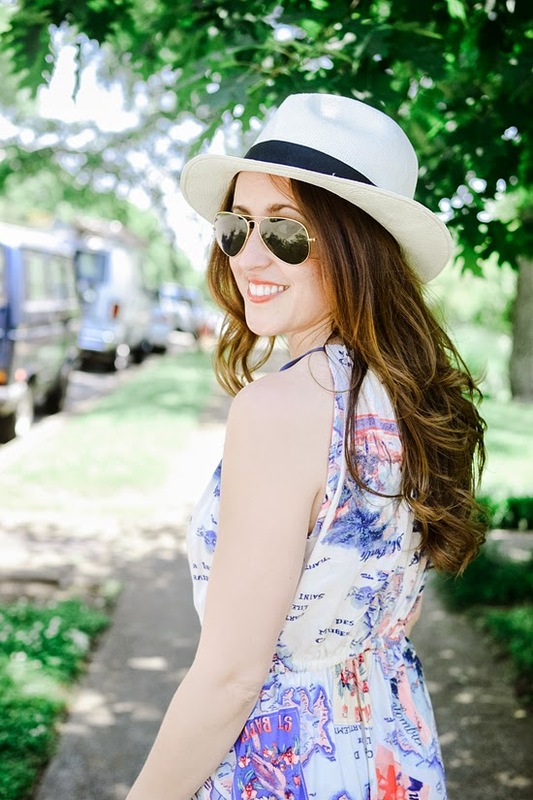 I wore this Peter Som for Kohl's map print maxi while on our honeymoon & have loved sporting it around Nashville too! It is already pretty steamy here, so I know this will continue to be a much loved staple in my Summer wardrobe! Love this dress! Those shoes are killer too. The print on this is so cool–I love the bold blue at the bottom! I love that maxi! The print is so fun! I dig the map print! how lovely for summertime. hope you are well Jessica!! Maxi dresses are the best this time of year! I've been wanting to get that hat since last year and I think I'm finally going to order it! Love the print and your hat! Oooh, I want that one on the bottom left if you ever purge it in a closet cleanout. The bohemian chambray looking one. Cute maxi; perfect for a summer vacation! Such a fun and unique print on that maxi! And can we just agree those sandals are perfect? I LOVE the print on this dress! It's been way too long since I've been to Kohl's, and you've convinced me a trip is in order. You look great! Such a cute maxi! I really liked the Peter Som collection for Kohls. Those shoes are super cute too! 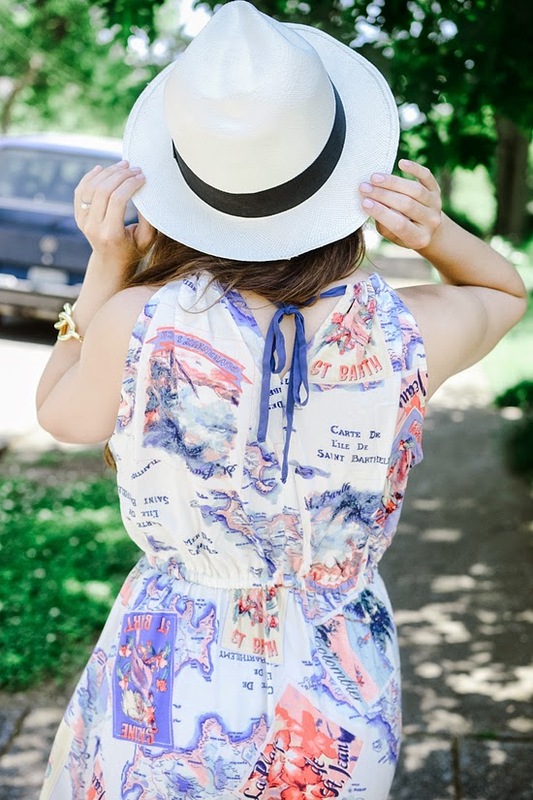 Love the print and your hat! Such a cute maxi! I really liked this Beautiful post. I love the print of your maxi dress and how you styled it. Beautiful! Maxi dresses are definitely a must have for me during the summer months. Maxi skirts are too, just earlier today I posted about maxi skirts! That maxi screams vacation! Love a good maxi!! 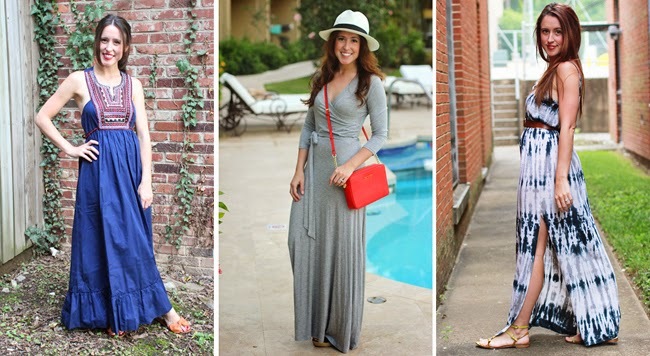 so many cute maxis in this roundup -- absolutely love yours! It would be at your knees! Short girl probs.